Easter is just around the corner and I'm prepping myself for what to wear already. 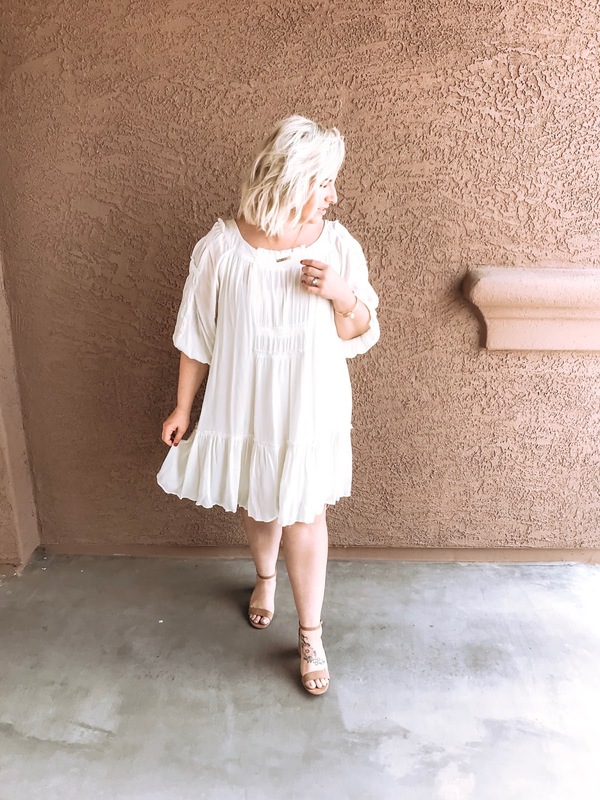 Secondly, because it's already in the 90's in Arizona so it's also been refreshing throwing on a simple dress and sandals and I feel so much more put together than with jeans and a tee. Having dresses on hand when things start to heat up also make me much more intentional about getting ready each day. When it's winter and chilly I typically and a leggings and sweatshirt kind of person practically all winter long. My poor husband. He even said one time before date night I looked so dresses up and I was in jeans and a blouse. That's a bit embarrassing. 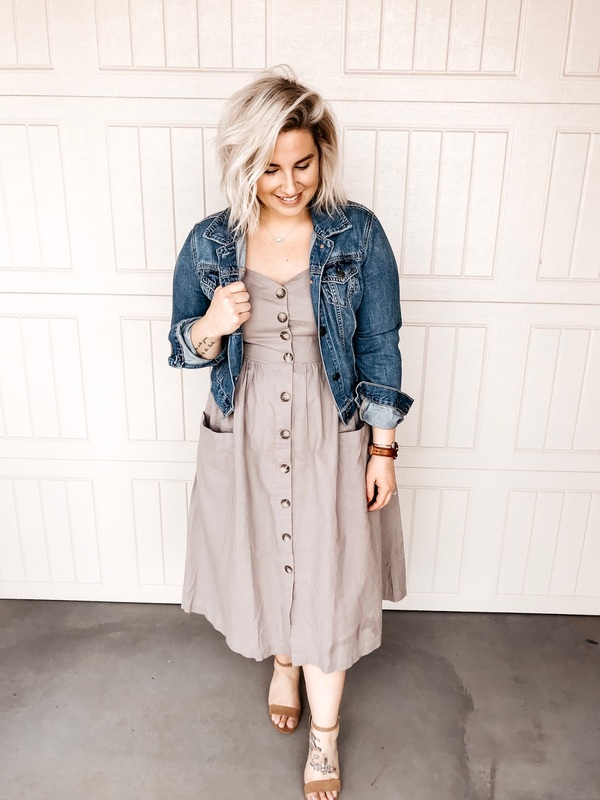 But working from home, throwing a simple and comfortable dress on makes me so much more motivated and intentional! 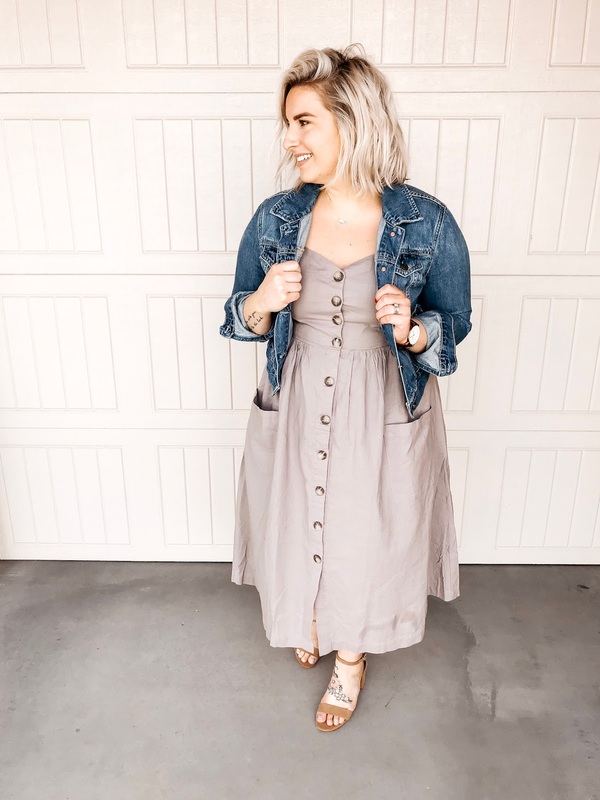 Let's talk about the two dresses I'm going back and forth on for Easter! This lavender one felt a bit out of my comfort zone and a little more retro than I typically can pull off but adding the denim makes it feel much more up my alley. The color is a dusty purple and seriously so pretty in person - making it a great option for Easter! The length is even better so when I'm wrangling babies during the egg hunt, I'm modest and covered and peep shows won't be happening. Comes in 4 colors, too! The second option I'm debating is more for when we're hitting church and a more formal lunch instead of the backyard BBQ type day. 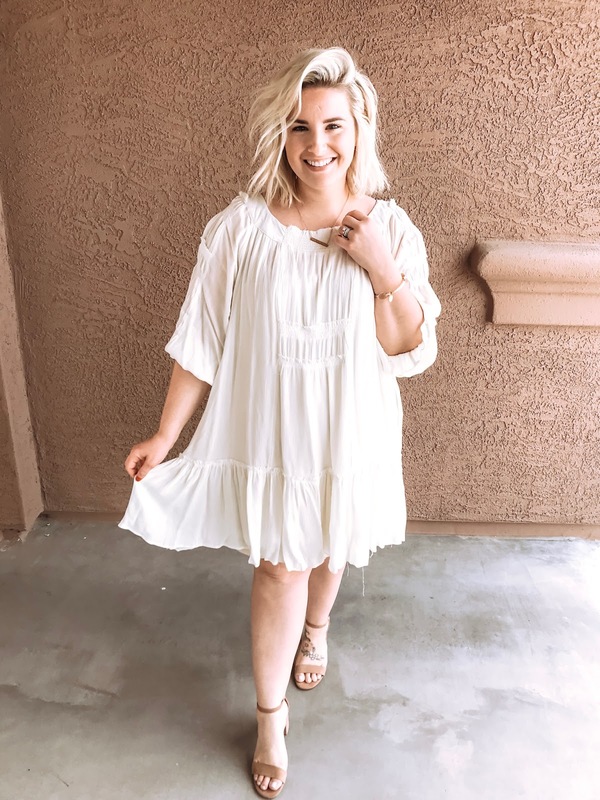 I'm always a huge fan of cream dresses and ones that remind me of Free People but at a fraction of the cost. Another reason I snagged this one is because I'm getting my arm tattooed in a couple weeks and going all black and gray like my other half sleeve so when I'm buying clothes, I'm always thinking of ways to coordinate and stay neutral to match my tattoos. So random - but true, it's how my mind works. 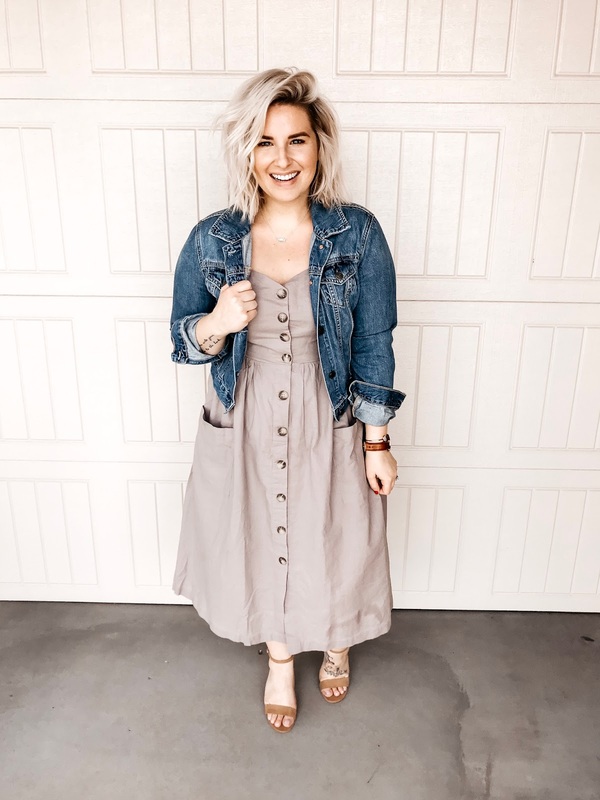 Thank you to PinkBlush for sponsoring this post and always being the shop I tell my friends to check out when needing to refresh their closets. Truly, you're the real MVP and a favorite of mine.